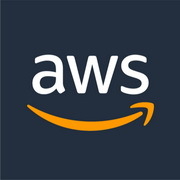 Springfield, NJ – Telinta, a leading provider of cloud-based white label Switching and Billing solutions for VoIP service providers, today announced that it has added Amazon Web Services (AWS) S3 as a new option for Telinta customers to store audio files for Call Recordings. Call Recording is a standard part of Telinta’s hosted softswitch solutions for VoIP service providers. Telinta customers and their resellers can offer Call Recording to both business and residential end users, complementing Hosted PBX, Voicemail, Mobile VoIP, Audio-Conferencing, and other VoIP services provided via Telinta’s hosted softswitch platform. Telinta offers its own economical and highly scalable cloud-based storage of Call Recording files on its TeliCoreTM platform, which is fully based on Telinta’s own infrastructure. However as an option, Telinta customers can easily export Call Recording files for long-term storage using several leading storage providers integrated into TeliCore, with AWS S3 as the latest addition. In addition to AWS S3, Telinta also offers easy export of Call Recording files to Google Drive and Dropbox. Telinta provides comprehensive training and 24/7 live technical support to help customers configure Call Recording, and other key areas needed to run a successful VoIP business. Founded in 2002, Telinta, Inc. offers secure and reliable cloud-based Switching and Billing solutions for VoIP service providers around the globe. Telinta’s full portfolio of white label carrier-grade solutions is highly customizable for VoIP service providers and their resellers. This includes Hosted PBX, Business and Residential VoIP, Calling Card, Pinless, Mobile solutions, WebRTC, Click-to-Call, Wholesale VoIP, Audio-Conferencing, and other solutions. Please visit us at www.telinta.com for more information.